Sustainable Blewbury is concerned with climate change and other environmental issues. We believe that we must end our dependence on fossil fuels because of the increasing levels of carbon dioxide and other greenhouse gases in the atmosphere. We need to explore ways in which we as a village can adapt to a low carbon and more sustainable way of living, while maintaining a good quality of life. SB places the highest priority on raising awareness of climate change and communicating urgently how it affects all our lives. Our Blewbury Energy Initiative website includes information on the scientific background to climate impacts, renewable energy and measures we can all take to help lower our own carbon footprints. Our tenth (!) season will run every Saturday morning from 9.15 to 11.15 am (unless we sell out earlier) – note the slightly earlier opening times this year. 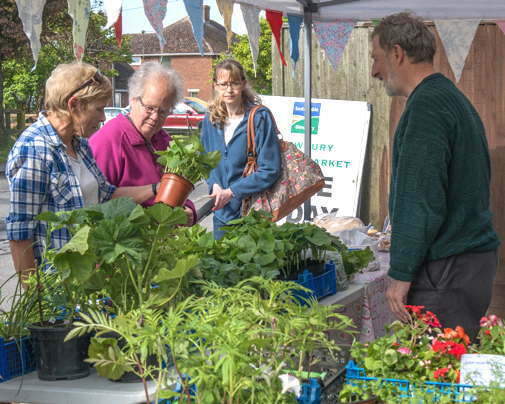 The stall buys and sells bedding plants and seedlings, fresh local garden fruit and vegetables, flowers, home-made bread, cakes and preserves, Blewbury honey and free-range eggs. Producers: please bring items to sell from 9.00 am; you set your own prices, we only take 10% commission. For more information and sales forms see www.sustainable-blewbury.org.uk/food.htm, or email us at bgm@sustainable-blewbury.org.uk. We have a substantial programme of activities in and around the village. 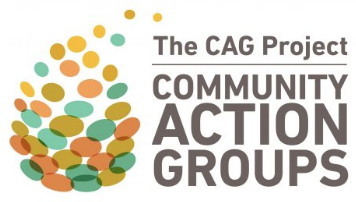 Getting involved is fun and can make a very positive contribution to village life and the local environment. If you’d like to get involved in what we do, or to receive our free Newsletter, email us at info@sustainable-blewbury.org.uk or phone John Ogden at 01235 850372. 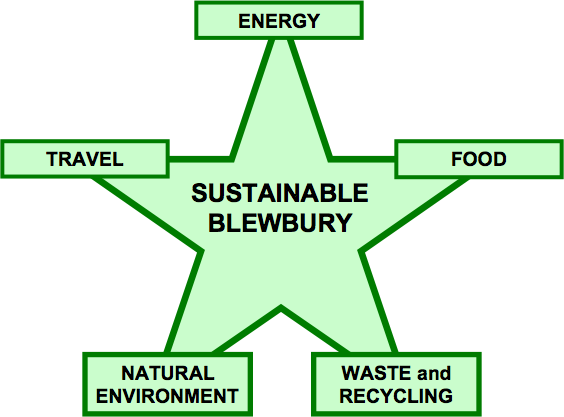 Our latest Sustainable Blewbury Newsletter is available here. 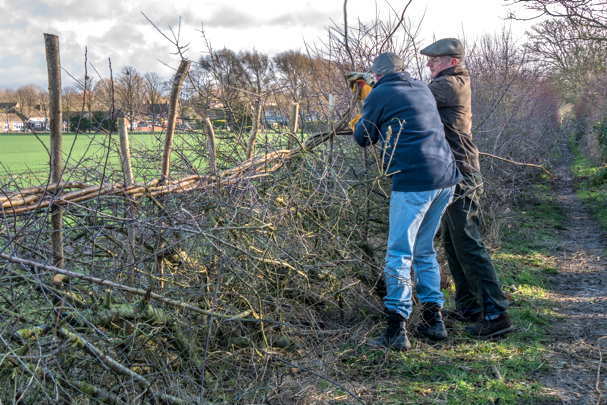 We have an article on last winter's work by our hedge laying group. There are short articles with links about a Wind in the Willows-based film by Wildlife Trusts, and three water-based items: making tap water refills easier to find, work by WaterAid UK, and work in India by WaterHarvest (formerly called Wells for India). Finally, a report by the Royal Horticultural Society on Gardening in a Changing Climate. Earlier newsletters are listed with their contents on our newsletters page. The current, reduced timetable is available here; note that the first two and last two buses of the day no longer run. There is a note on the situation in a recent newsletter. 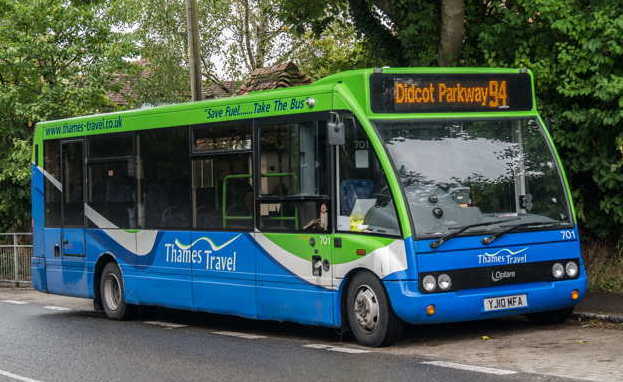 Please also try the Friday morning minibus to Wallingford run by the Downland Villages Transport Group (DVTG) – it’s great for doing errands or just having a quick break in Wallingford on market day. If you haven't already signed up or need more information, contact dvtgbus@gmail.com, or ring 01235 851763. You can buy tickets at Blewbury Post Office or Savages. Have a look at the initial version of our Blewbury wildlife map. 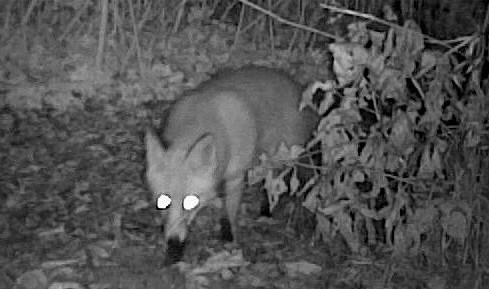 We’ve used the camera traps we bought for Blewbury Primary School to record videos at three locations in the village – each star on the map has clip(s) showing one type of animal, mostly during the night when you might not realise all that is going on in our back gardens. We the videos are colour during daylight hours, and black and white infrared images at night. The travel and transport theme promotes public transport and encourages cycling and walking, with more cycleways and footpaths, in order to reduce car dependency. The Blewbury Energy Initiative aims to reduce energy consumption in buildings and to encourage the use of renewable energy resources. The aim is to use much less coal, oil and gas to help the global environment. The food and farming theme supports and promotes local food production and marketing in order to reduce food miles, as well as encouraging fair trade. The natural environment and heritage theme aims to raise awareness and promote protection of Blewbury's history, architecture and special characteristics – such as its springs and streams, trees, and village fabric. The reduce, reuse, recycle theme aims to reduce the amount of waste, and to encourage reuse of items and recycling to recover raw materials. It promotes water saving, local recycling and household composting.